This plugins has blown my mind! When I tried it my complete website was translated in Dutch within 5 minutes! I thought I had to translate it myself. 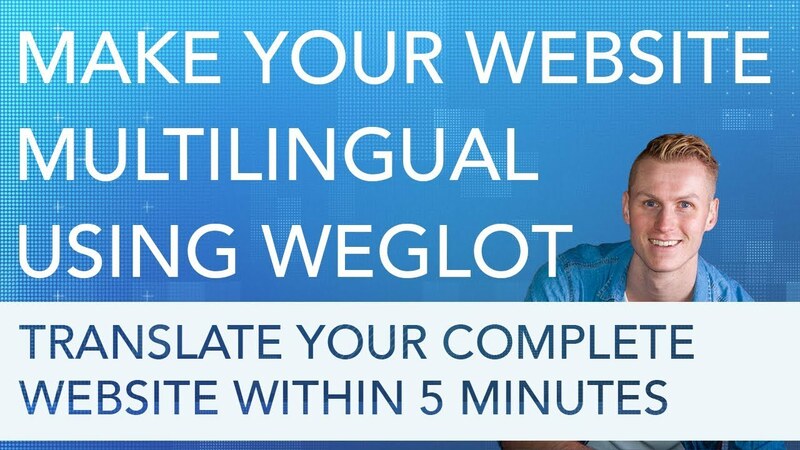 Weglot uses an automatic translation tool than will become smarter overtime so it helps us better with translating your website. A lot of translated content in my website was perfect! If you want to correct the machine translation then you can do it really easily! Just through the list editing or through the visual editor! You just see your website in another language (the one you choose) and can correct it just by clicking on the text. Easy as that! Take a look at the intro to see what is possible!